At times it feels like all of Canada is a wonder. There are so many things to experience in the world’s second largest country. To explore the natural beauty, captivating towns full of historic charm, cityscapes that are tailor made for urban adventures, the great outdoors, and wilderness, you need a lifetime. Even the most popular places in Canada have appeal and allure, but if you are craving a journey off the beaten path then visit one of these underrated destinations in 2018. Vikings braved the New World long before Christopher Columbus. 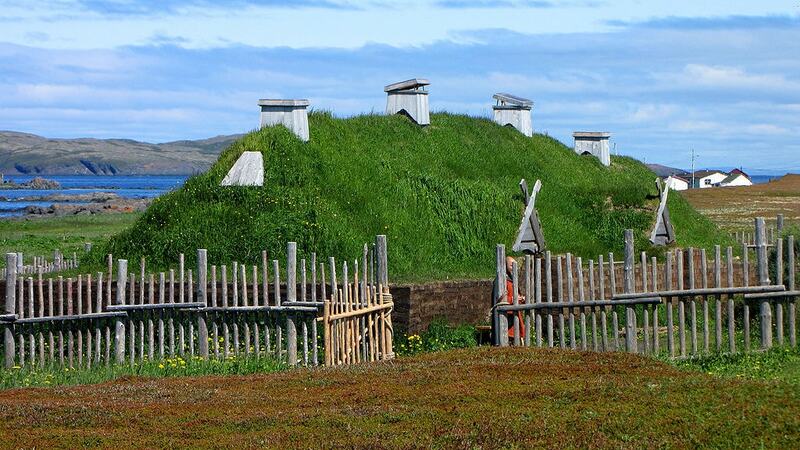 L’Anse aux Meadows is the very first place the Norsemen voyagers settled when they came to North America. This UNESCO World Heritage site is steeped in history that dates back over 6,000 years and is the only true Viking settlement on the continent. Artifacts discovered at this coastal site show that prior to the Norse sailors, this area was home to various aboriginal groups. Today, the efforts at L’Anse aux Meadows allow visitors to discover the story of these simple Viking settlers and explore their authentic village. New Brunswick’s capital has a popping arts and music scene. 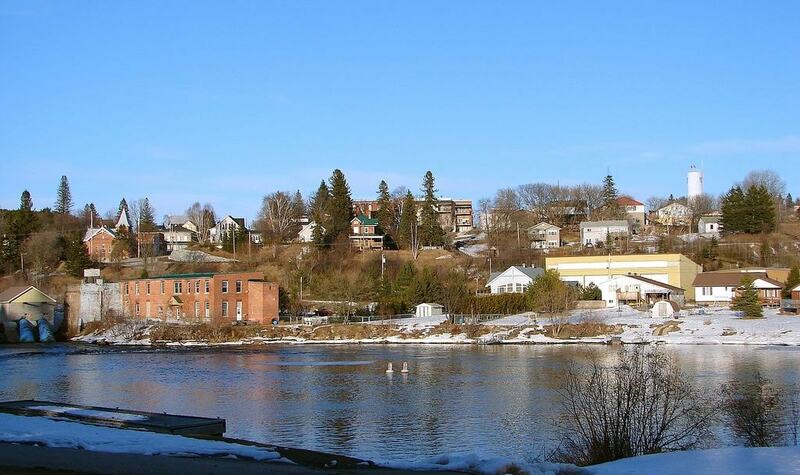 The riverside banks, historic architecture and parks of Fredericton have become an inspiring haven for artists, writers and poets. The Beaverbrook Art Gallery’s collection of British paintings and work by leading Canadian artists is a must-see. It’s a fun city to be in all year long, but it’s worth planning your trip around FROSTival or the Harvest Jazz and Blues Festival. On sunny days, take a stroll along the waterfront, for lively drinks and a view grab a table at the James Joyce Pub in the Lord Beaverbrook Hotel. The dramatic rolling terrain, fjords, headlands and bays of Charlevoix cast an immediate spell. 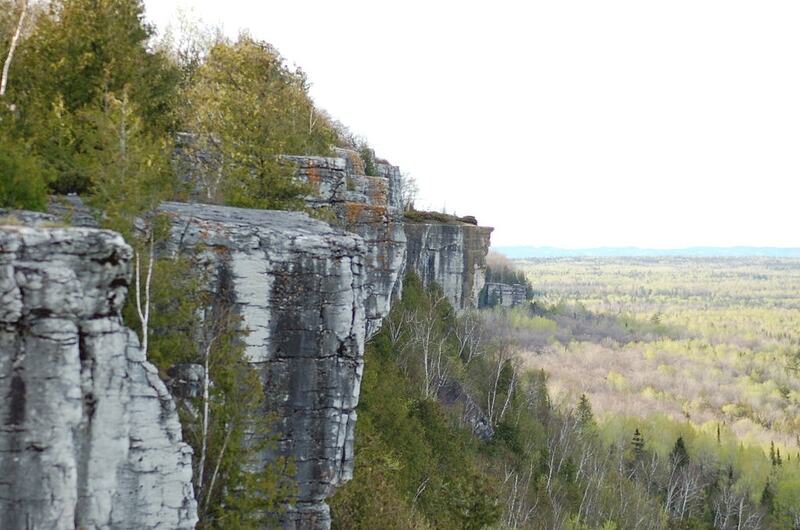 This enchanting region lies between the St. Lawrence River and the Laurentian Mountains, when 350 million years ago a meteorite impacted and created the Charlevoix crater, changing the topography of the area drastically. Visitors can come to this region anytime of the year and find something to do. During the winter take advantage of the skiing, snowboarding, and sledding at Le Massif de Charlevoix. Come summer and fall discover Charlevoix’s Flavour Trail, a gastronomic adventure for epicureans with craft beer and cider, artisanal cheeses, chocolate, organic meat and products from the regions farms and mills. 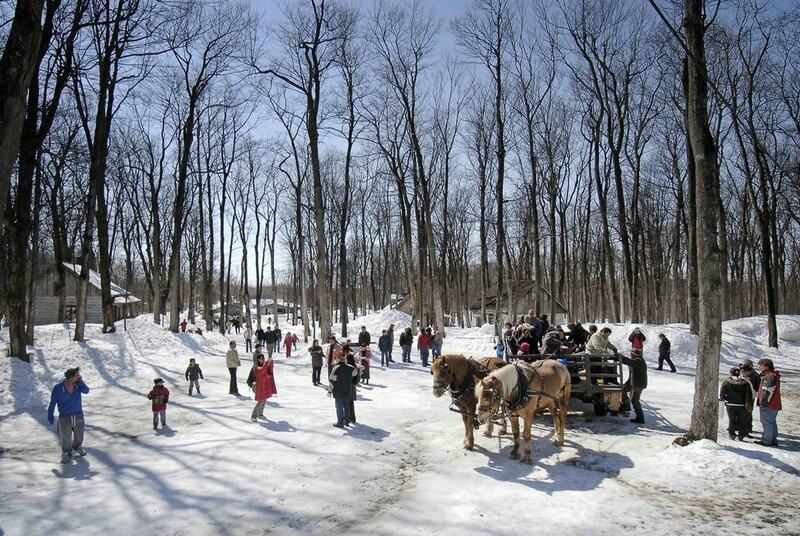 Sucrerie de la Montagne is a hidden gem nestled in a 120-acre forest of maple trees at the top of Mont Rigaud. This authentic “sugar shack” west of Montreal is a Quebec Heritage Site and open all year round. Visitors to this area should definitely check out Sucrerie de la Montagne for their fire place, freshly-baked goods, sleigh rides, Quebecois feasts, live music, and maple treats. 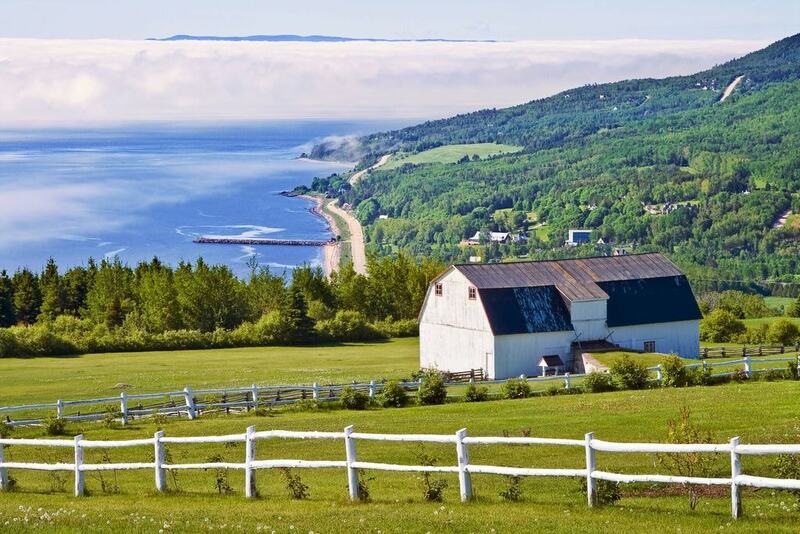 Yarmouth is a happening and pretty little port town located on the Bay of Fundy in southwestern Nova Scotia with an endless list of things you can do. Ocean enthusiasts and sea-foodies will love Yarmouth. Natural scenery and the ocean gives the town access to a fresh supply of fish and an array of land and water activities. 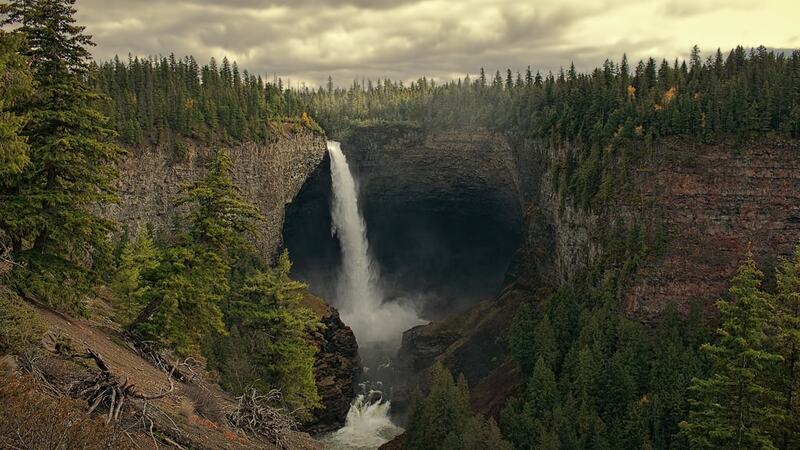 The perfect way to spend a day in the Thompson Okanagan region starts with visiting the 463-foot Helmcken Falls, a hike in a rare inland temperate rainforest or the views from the highest mountain in the Canadian Rockies, Mount Robson. Visitors who like a slower pace can explore Thompson Okanagan’s vineyards by strolling along the wine trails. This region has over 200 wineries, the best way to see a bunch of them is to head to Kelowna on Okanagan Lake where there is a cluster of about 30 wineries. Plan your trip around the wine festivals that take place in spring, fall, and winter. 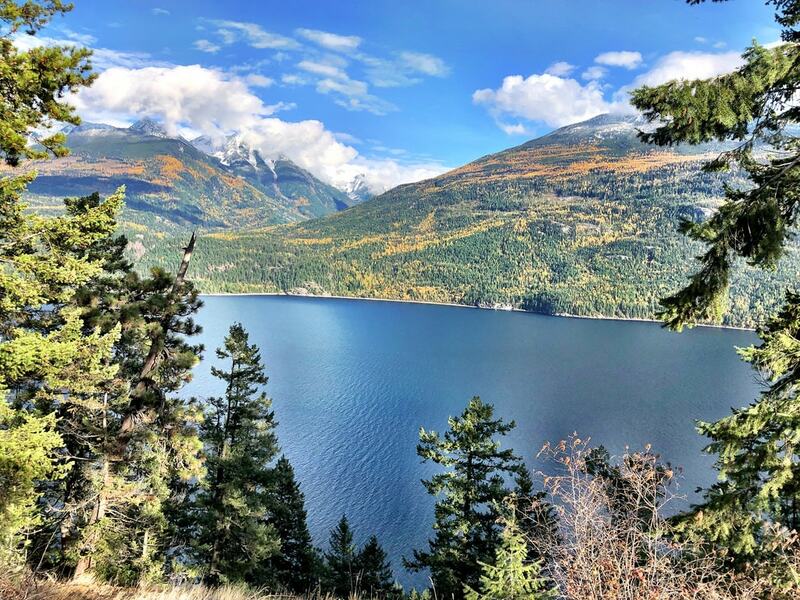 2018 is a great year to scope out Kaslo’s vibrant food scene, natural beauty and cultural attractions. This scenic, quintessential small-town lies in a valley next to Kootenay Lake, surrounded by lush forestation and mountains. 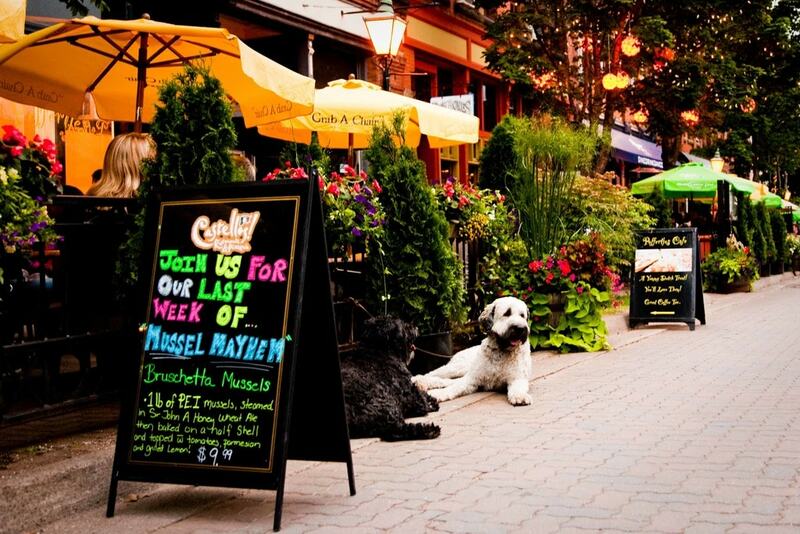 Downtown is flourishing with artisans, restaurants and boutique shops. The nice thing about Kaslo is there are no box stores, chain coffee shops or traffic jams. Try bennies Bluebelle Bistro & Beanery, tacos at Taqueria el Corazon, and homemade soup at Landmark Bakery. August is an eventful time of year – both the Columbia Basin Culture Tour and the Kaslo Jazz Etc. Summer Music Festival take place – but visit during the off-season if you want this lovely town all to yourself. 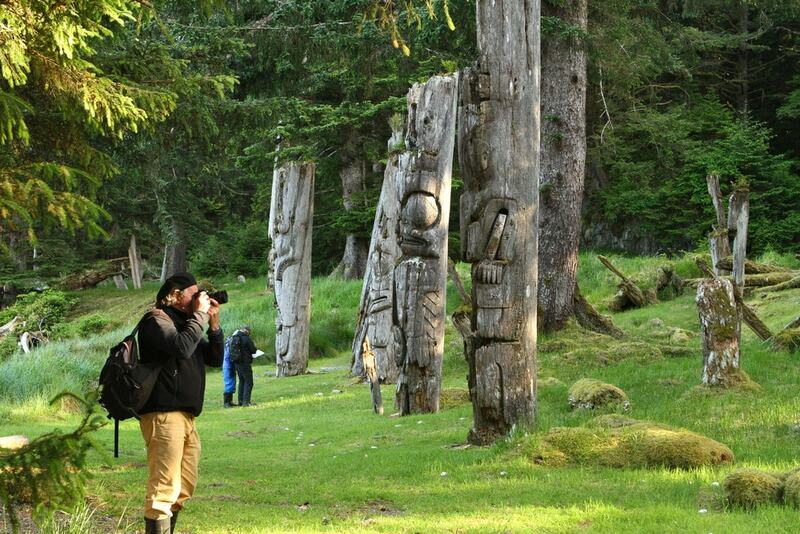 Haida Gwaii is accessible only by air or water, but that just adds to the island’s mystique. Hot springs, immaculate beaches and native wildlife have attributed to Haida Gwaii being referred to as the Canadian Galápagos. The days are best spent watching the tide, paddling, and surfing in the moonlight. If you prefer land, the Delkatla Wildlife Sanctuary, open all year round offers the chance to see 140 different bird species. Try a traditional Haida feast at Keenawii’s Kitchen and the cinnamon rolls from New Moon Over Naikoon, a cute little wooden bakery in the forest. Visit sometime between October and May for a glimpse of paradise. This bustling seaside town has lots of historic charm and some wonderful festivals. Charlottetown is full of walking trails, waterside boardwalks, artisan shops, restaurants that showcase the Island’s seafood and agricultural produce, golf courses, and rustic carriage rides. During the evenings, Charlottetown’s talented local singers and Celtic bands come out and perform their folksy tunes. Take a drive towards Tea Hill Beach, for a dip in warm waters and a spot of shell collecting. Any time spent in Charlottetown would prove lovely. Visit Summerside for its epic sunsets, stunning waterfront with a beach and boardwalk and the delicious seafood. Summerside’s centralized location will serve as a gateway for exploring the rest of Prince Edward Island and the North Cape Coastal Drive. Visitors can shop and dine by the ocean, see plays and experience events at the Harbourfront Theatre. From Tobermory you can catch the ferry to Manitoulin Island, one of the largest freshwater islands in the world and home to the “Anishnawbek” (the Ojibwe, Odawa and Pottawatomi people). Life on Manitoulin Island is a harmony of vibrant prehistoric First Nations culture and the customs of present smalltown-living in Ontario. The best way to explore the island is by booking an experience with Great Spirit Circle Trail. Choose from culture-rich land and lake experiences like heritage canoe rides, horseback treks, medicine walks, and hiking. During fall, the northern lights can be seen from Manitoulin Island. Gordon’s Park Eco Reserve’s dark skies and unpolluted air offer an ideal place to chase those effervescent lights. Burk’s Falls was incorporated in 1890 and is a village in the Almaguin Highlands region of Parry Sound District, Ontario. In the 1860s, loggers settled in the surrounding areas of Burk’s Falls. Back then the only access to this area was through the Magnetawan River from Georgian Bay, or forested townships north of Bracebridge. While visiting this enclave, check out The Screaming Heads, a project created by an artist called Peter Camani with with 84 sculptures scattered across 310 acres. You can also explore Midlothian Castle. A fire-breathing dragon sits guard on the chimney of this former farmhouse and breathes smoke whenever the fireplace is used. After a day of sightseeing head to Copperhead Distillery and Spirits Ltd where some warm apple pie moonshine will be waiting for you. 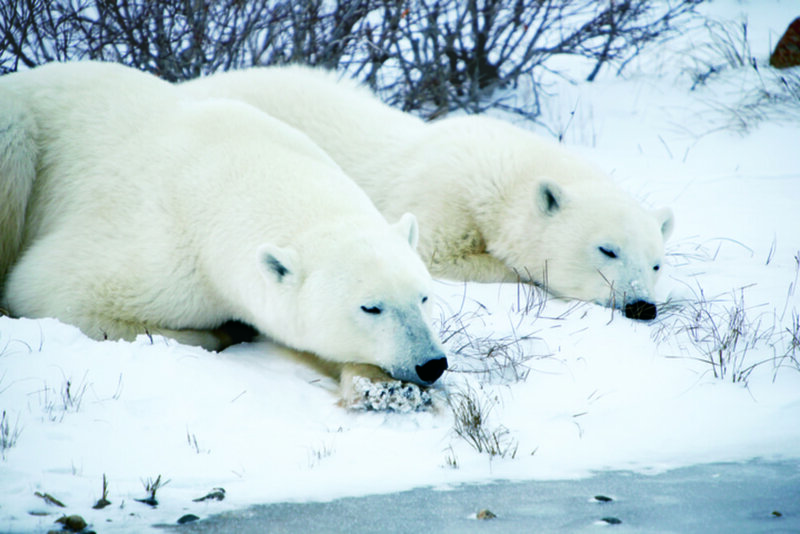 Churchill is the polar bear capital of the world. From July through to November about a thousand polar bears migrate to Churchill and this is where they lie in wait for winter. The summer months also bring thousands of migrating beluga whales to the town. And that’s not all: Churchill is also a birder’s paradise and a great place to see the Northern Lights. The best way to reach this frontier town on the edge of the Arctic to experience the seasonal locals is by train or plane. Parkland Region’s woodland parks, lakes, flowing rivers and wildlife make it the perfect escape for relaxation and adventure. Climb Manitoba’s highest point of Baldy Mountain, bike along trails or roam the open range on the back of a horse. Parkland Region also has great shopping, historical sites, festivals and a thriving arts scene, all of which make it a destination for any season. The Athabasca Sand Dunes Provincial Park was created in order to protect the Athabasca sand dunes, a rare formation stretching approximately 100-kilometres along the south shore of Lake Athabasca in the province of Saskatchewan. 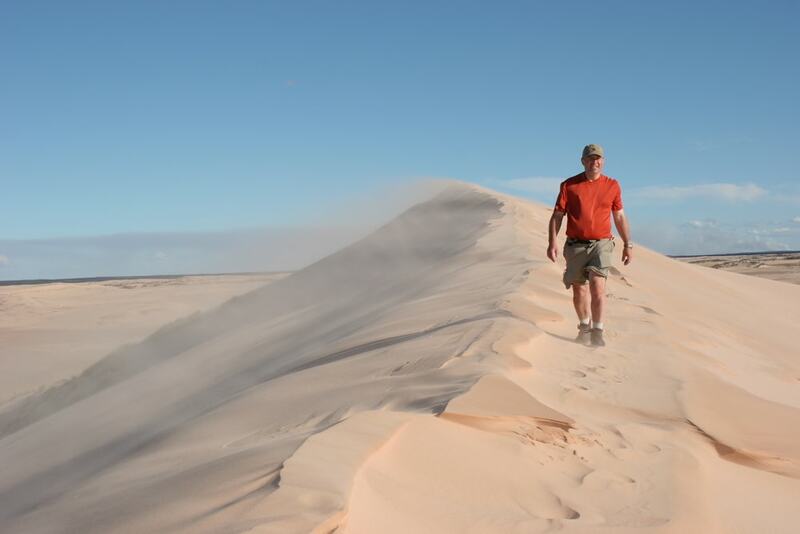 The scenery is breathtaking and the dunes can get as high as 30 metres in this unique boreal ecosystem. Open all year round, this park is accessible by float plane only and recommended to people who are experienced with wilderness and can adhere to visitor guidelines. Once here, though, you can explore for days; activities include dune buggy driving, free camping, fishing, and discovering this amazing ecosystem full of rare and unique plants found only in the park. 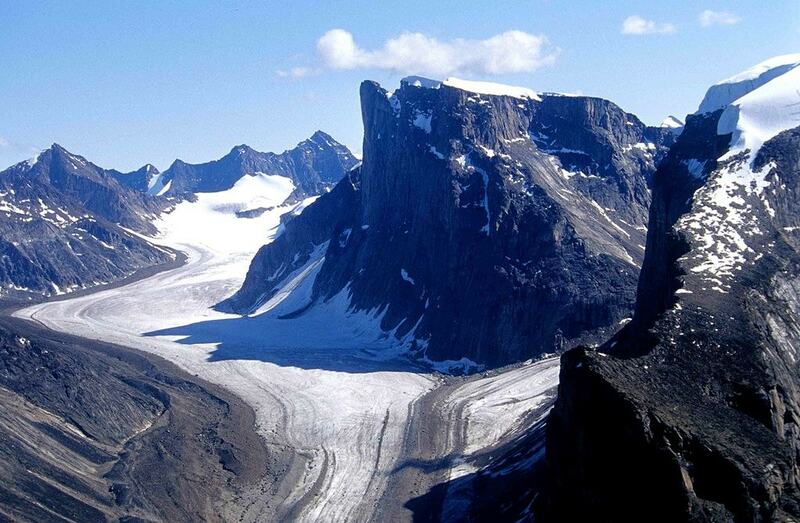 Auyuittuq means “the land that never melts.” The park lies on Baffin Island and the renowned snowy, jagged peaks, small coastal Inuit villages and communities, and fjiords are for true explorers. Adventurous souls can discover uninhabited lands, an Arctic mountain range, clear lakes and beautiful scenery. There’s also plenty of local wildlife; polar bears, Arctic foxes, narwhals, belugas, seals, bowhead whales and walruses. The best time to visit is from March to May, when dogsleds, and skis can travel along the frozen fjords.